Book Review: Franco, The Man and His Nation | What Would The Founders Think? Franco was more than just a fascist dictator, and certainly no Nazi. The biographer, George Hills, did meticulous research and conducted extensive interviews with many of the participants in the Spanish civil war. He neither deifies nor demonizes Franco in his book. Instead he conducts a very thorough recounting of the events leading up to the Spanish civil war, how long it took and what it took for Franco to join in the revolt, and then how Franco guided the nation through the turbulent times of World War II and after. There was a lot of stuff packed into this book. It is loaded with interesting footnotes and it is obvious that the author did extensive research. What most people know of Franco , is that he was a Spanish dictator and sympathetic to the Nazis. At least that’s the general impression promulgated by the media. Franco was whole a lot more complicated than that, and certainly no Nazi. The biographer, George Hills, did meticulous research and conducted extensive interviews with many of the participants in the Spanish civil war. He neither deifies nor demonizes Franco in his book. Instead he conducts a very thorough recounting of the events leading up to the Spanish civil war, how long it took and what it took for Franco to join in the revolt, and then how Franco guided the nation through the turbulent times of World War II and after. If there is one thing that seems to describe Franco more any other, it is that he was patriot. The next thing that is indisputable, is that he hated communisim with a passion. He knew what Stalin and his cronies were capable and guilty of and wanted no part of it for Spain. During and before the civil war, Russia sent in troops and materiel – they also robbed Spain blind, stealing much gold from the Republican government and shipping to Moscow. Franco led a weird coalition of monarchists, falangists (fascist-like group), and catholics and was ultimately successful in establishing himself as the caudillio of Spain. What Franco doesn’t seem to get a lot of credit for is his masterful statesmanship in playing on side off against the other during World War II. He was able to mollify Germany through a series of delaying tactics that involved carefully worded public and private declarations, the purpose of which were to buy time. At points early in the war Hitler and Mussolini pressed Franco to join the war on their side. Sometimes they resorted to veiled threats to get Franco to comply. After one meeting in which Franco delayed and stalled yet again, a frustrated Hitler remarked, “I would rather have three or four teeth out than meet that man again”. Behind the scenes Franco did what he could to assist the Allies. He was also able to help several thousand Jews by claiming them as Spanish citizens. These people were deemed Sephardim. These were decendents of Jews expelled from Spain in 1492! On several occasions in the 1940’s, Franco intervened on behalf of these “Spanish” citizens, resulting in their being released from camps, in places like France. In fact, Franco maintained his regime by balancing multiple constituencies as he had during the civil war and world war. Because of his efforts, Germany was denied access to Spain, and Spain, having just ended a ruinous civil war, was able to stay out of the world war. After the war Franco began slowly ameliorating many of his country’s laws, allowing a level of freedom that while not on par with that in the USA, was far in excess of what was happening behind the iron curtain. He was able to carefully and slowly remove the Falangist influence, ultimately making them irrelevant. It seems that Churchill had a much better understanding of Franco’s spain than did Roosevelt. 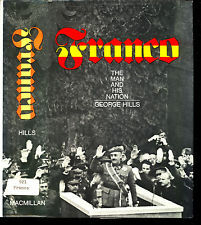 Hills makes no attempt to hide some of the tactics and laws employed by Franco’s government, but does point out that most of these techniques and institutions were not unique to his time. The previous government, anarchists, and communists had done the same and worse. It seems indisputable that for anyone to unify Spain during those times and iron hand would be required. Franco certainly had that, and the fact that Italian and German troops helped him win the civil war over the Russian communists, anarchists and republicans, didn’t help his international reputation. Unlike his enemies, Franco always tried to preserve, (in spite of some unfortunate actions taken by Germans and Italians), rather than destroy the cities he conquered, after all they were Spanish cities. The anarchists and communists were not quite as circumspect. The story of the siege of Alcazar was emblematic of the overall brutality practiced by all sides in the civil war. Aside from being a biography of Franco, Hills does a creditable job of explaining the interesting Spanish relationship with the Catholic church. There was a lot of anti-church legisllation, confiscation of church lands, closings of Catholic schools, and even imprisonment of church leadership. 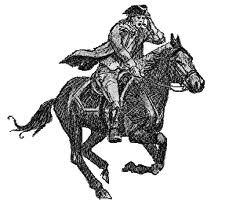 In most cases these were actions taken by the Republican government that had displaced the monarchy. However, Franco’s side went after radical clergy too. He worked hard to mend fences with Rome and ultimately was successful in getting a “concordat” in place with the pope in 1953. Another interesting facet of Spanish history covered in the book was the role of Spain in Morocco and the formation of the Spanish Foreign Legion – modelled on the French Foreign legion. Franco’s role in the renovation of the Spanish army was also interesting. After WW2, Franco is quoted [‘Half of Spain Dies,’ by H.L. Matthews] as, “Our regime is based on bayonets and blood, not on hypocritical elections.” Sounds kind of like Mao Tse Tung. Was Franco referring to the corruptive influences in Spain’s politics following WW2 or was he expressing his own tyrannical tendencies?